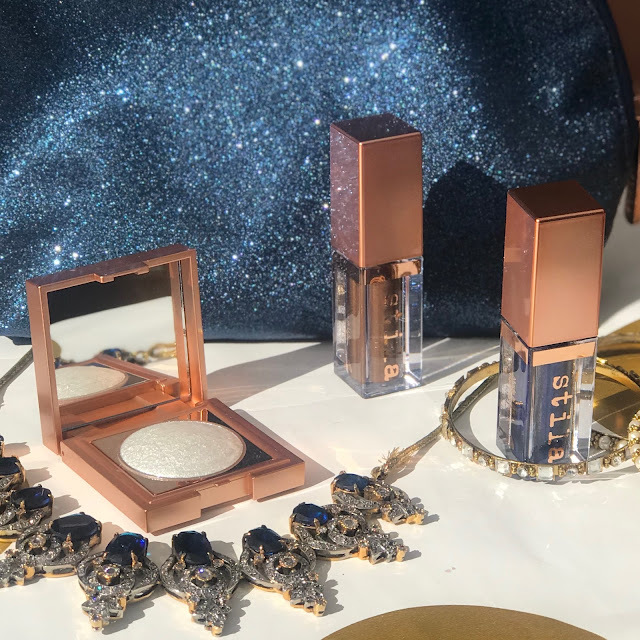 Going from day to night with Stila Cosmetics! Recently I attended an event with Stila cosmetics for their Vivid & Vibrant collection and it really blew me away. I am such a fan of Stila as you may have seen from previous posts. There was something about this collection that really appealed to me. 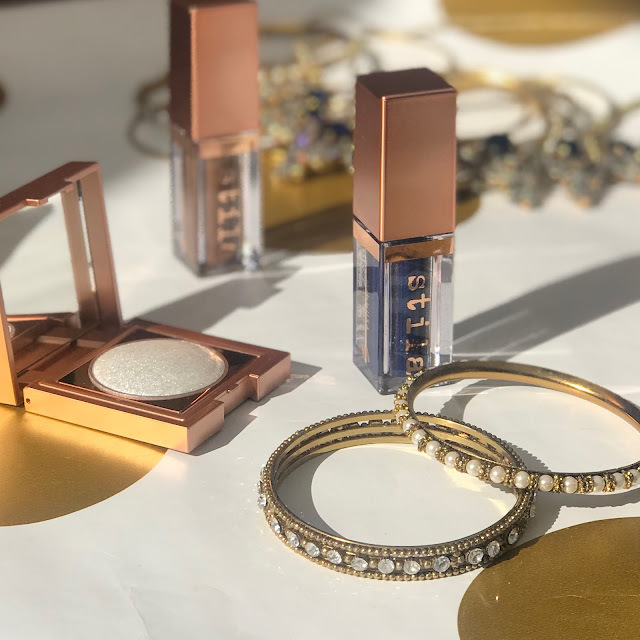 The collection is based around jewel tones and every is luxurious and opulent in both colour and texture. 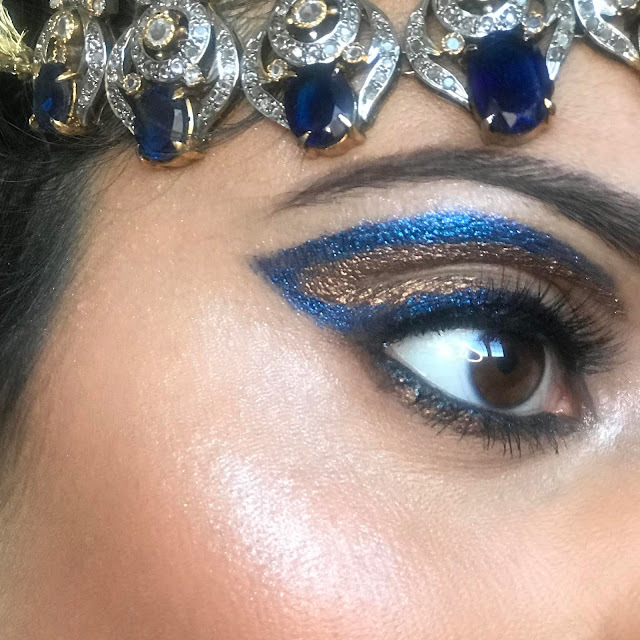 I absolutely love the liquid eyeshadows as they provide a quick and easy way to make a statement without the need to use a brush, but there are also beautiful eyeshadow duo's in this collection that give such a beautiful effect so there is something for everyone no matter what type of product you like. 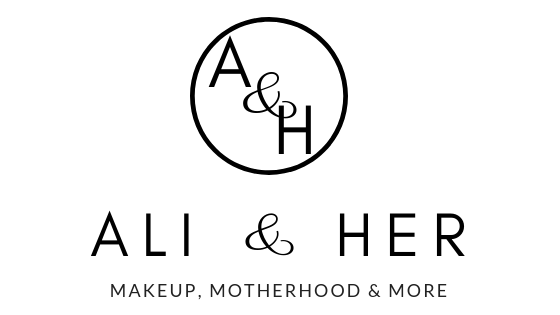 I decided to create a day to night look for you using some of their fab products. The first is this really simple shimmery eye look. To be honest this can be worn both at night and in the day, the sparkle on it is like no other. All I simply did was use the Heaven's Dew All Over Shimmer* and applied to my lid with my finger. I then slightly blended it out to the brow bone and applied a black kohl liner and lashes. 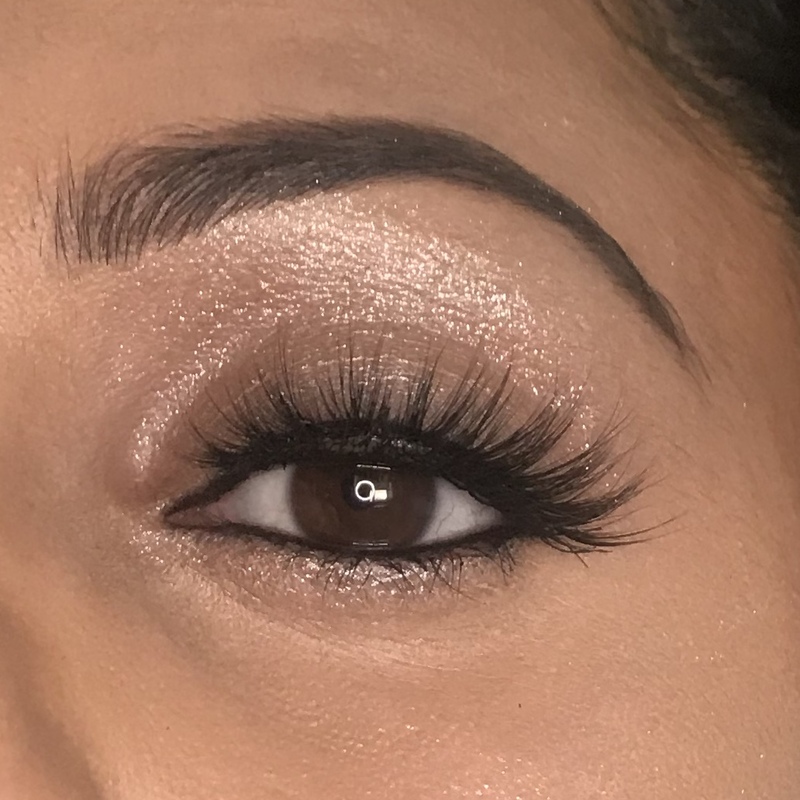 It is so simple and took me less than 10 minutes but such a pretty eye look. I then added some of the all over shimmer to my cheek bone for extra added effect. This could be paired with both a neutral or bold lip. What I love about the All Over Shimmer is that it is just that! You can apply this anywhere, arms, legs , collar bone, literally wherever you want. It gives the loveliest sparkle and the formula is beautiful. 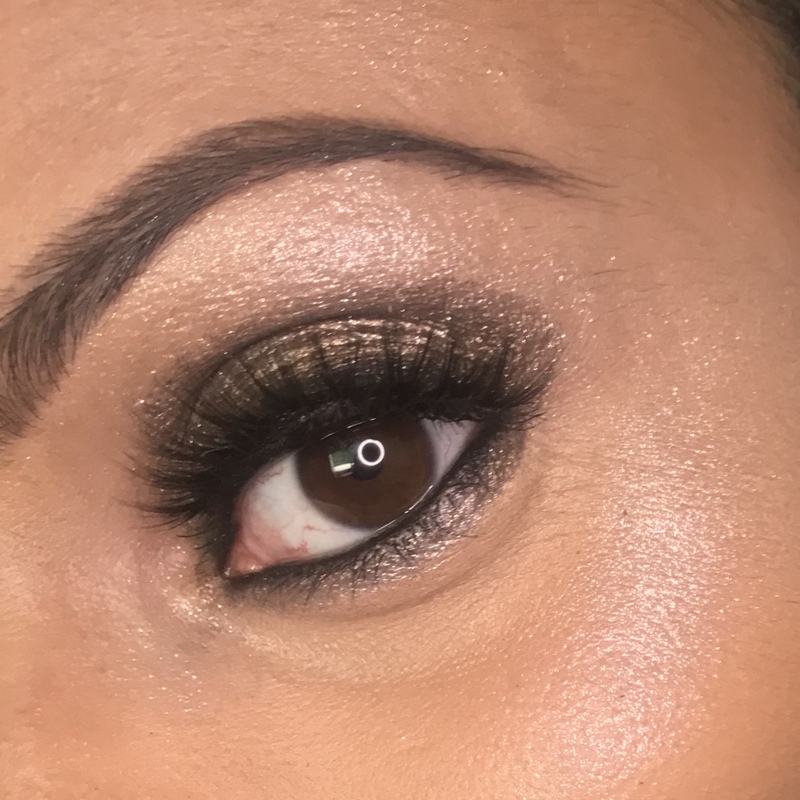 To create a bit of drama and to take this from day to evening all I simply did was apply the Shimmer & Glow liquid Eyeshadow in Vivid Smoky Quartz* to the lid and underneath the lower lash line to frame the eye. I applied this on top of the Heaven's Dew All over Glimmer. I made sure not to go to high on the lid so the shimmer could still be seen around the brow bone. 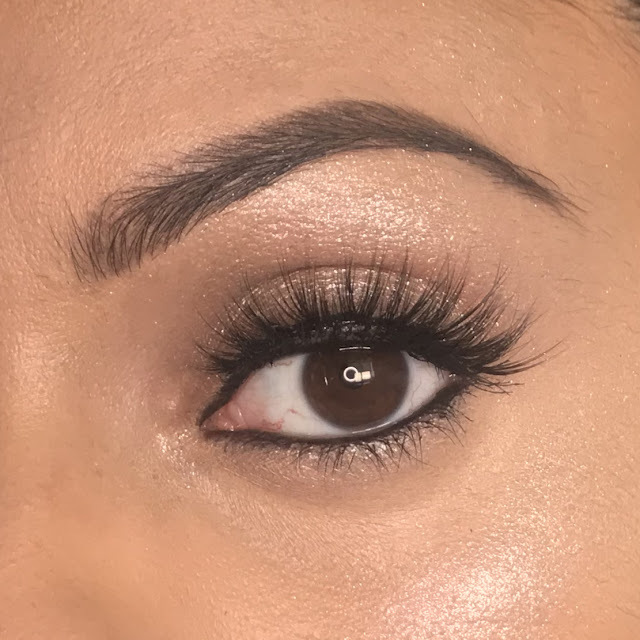 I then applied a slightly thicker liner to the lash line and did this all with the lashes still on! The darker colour makes it a little more dramatic and perfect for an evening look. I also love the fact I didn't need to use a single brush for any of the eye looks I created! So this is how you can go from day to night with Stila, literally only using two of their products. However I also couldn't help myself and created a look that was a little bit more creative using the Vivid and Vibrant campaign images for inspiration. 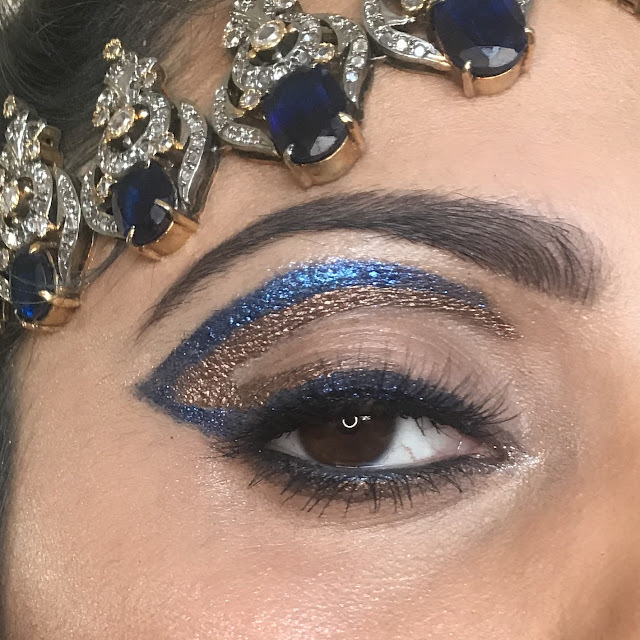 Her I simply used the Shimmer & Glow Liquid Eyeshadows in Vivid Smoky Quartz and Vivid Sapphire* as graphic liners. This just shows how versatile they are as a product and I can't wait to add to my collection. I hope you like. Have you ever tried any of the Stila products before? What should I try next?